If the tales that are passed from one generation to another in the inner circles of the attar manufacturers are to be believed, then the nawabs’ begums’ lives were a bed of roses, quite literally. The cotton used in the quilts of Awadhi royalty was swirled in the huge copper urns in which attar was made. While the nobility gifted bottles of attar to their guests, alleys of palaces were sprinkled with attar before the arrival of a state guest. This indulgent ritual, which can put the luxurious modern-day room fresheners to shame, was probably more than an act of opulence. It was a clever aromatherapy trick used by the royals to put their guests in a state of tranquil ease. Despite being a self-confessed fragrance addict and having roots in Lucknow, to me attar merely evoked images of quaint shops filled with decoctions in pretty ornate bottles. But my recent trip to this city changed this, as I made my way to buy my year’s stock of room and cupboard fresheners, bath and body oils, and essential oils from Sugandhco. A brainchild of fifth-generation perfumer, Vijay Vergiya, this landmark perfume store in Lucknow boasts more than 700 essential oils and their derivatives. Having studied perfumery in Grasse, France, Vergiya has merged traditional aromas with modern blends, and has found unique ways to make daily life more fragrant. Intrigued by a leather flask, I ask him what its contents are. 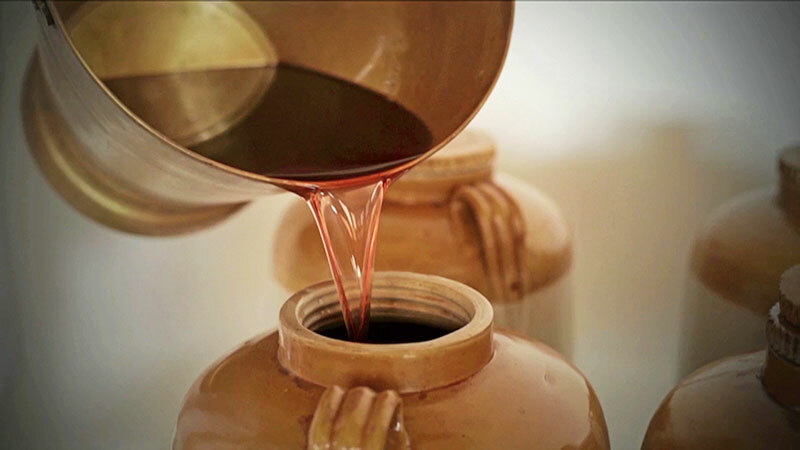 “That’s how attar was stored in the olden days, as the leather allows the natural distilled concentration to breathe and be preserved for more than a decade. The minute traces of water left behind in the distillation process get evaporated; all that remains inside is the attar oil. These days, it’s sold in glass vials or bottles as you don’t get craftsmen who can make such cases or their corks,” he explains. Besides the traditional attars, which are predominantly single-note fragrances derived out of botanical extracts, he has made some modern variations and lighter blends. He takes out a small glass bottle and requests me to take a sniff. That scent which captured the smell of rains on parched earth, aptly titled Mitti, evokes nostalgia and leaves me feeling fuzzily warm. I may not want to wear it to a party, but I sure don’t mind having a bottle on my dresser! 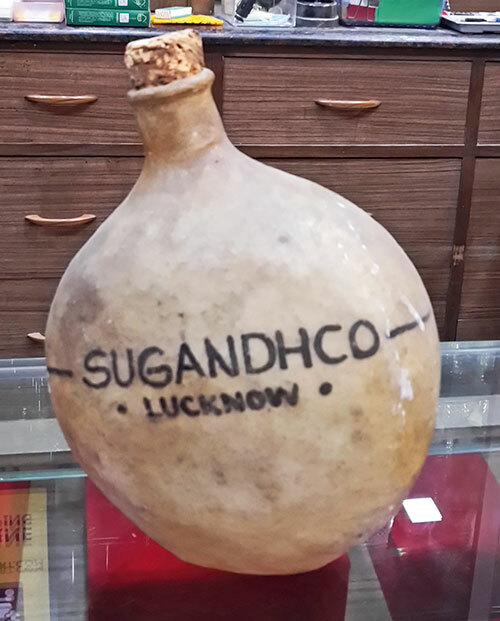 Around 175 years ago, Vergiya’s great-grandfather moved from Rajasthan to Lucknow to work for Nawab Wajid Ali Shah, an avid perfumer himself, known for concocting various attars on his own. According to one of the accounts, this last of the nawabs, who reigned over Awadh during 1847-’57, sweated a lot while dancing; so the Hina attar was created especially for him. One of the most popular products to originate from Lucknow, its intensely spicy character is attributed to more than 65 herbs that are boiled together. It is believed that when Mirza Ghalib met his beloved in winter, he rubbed his hands and face with this. “While regular attar will have a shelf life of four to six years, Hina is like vintage wine; the older it is, the better it gets,” adds Vergiya, who also specialises in custom-made attars. These are popular amongst the Middle Eastern elite who are willing to go through 10 to 15 sittings and pay a premium to get a scent that rests on them like a second skin. The process involves the master perfumer identifying the type of smells (woody, floral, musky or spicy) you like, applying myriad oils on your nerve points and conjuring up a final one based on how you feel after wearing the oils. The fragrance can sometimes also be used as a therapy to balance personality traits and lifestyle. For instance, if a person has a tendency to get agitated or is living in a hot climate, the attar could have extracts of khus or vetiver. To keep cosy during winters, a cocktail of warm herbs is recommended. “Therapy is an added advantage. Don’t buy attars that smell good on others, or because they are classics or have therapeutic benefits. Your nose has to fall in love with the smell, for it to work on you,” Vergiya points out. I was lucky to find him in town as he travels extensively within India in his quest for fresh, quality ingredients. 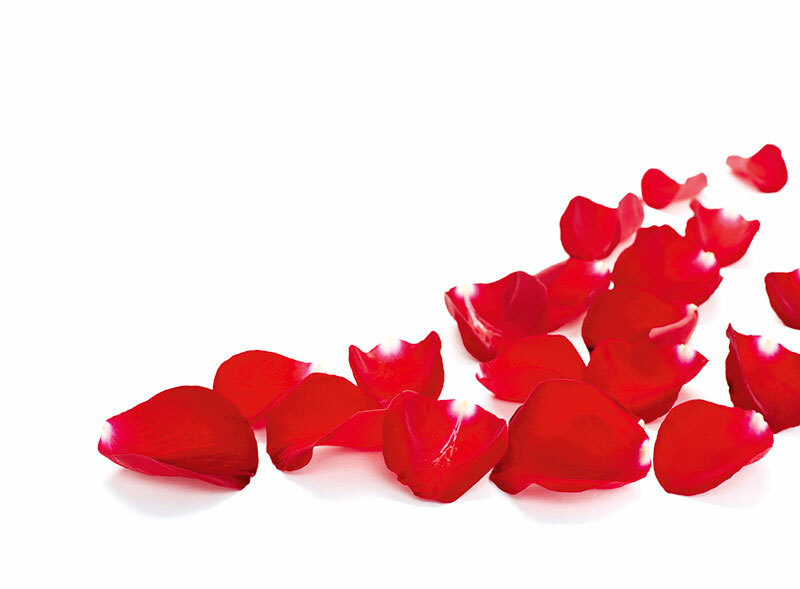 “The roses from Kannauj are even more full-bodied than their Bulgarian and Turkish counterparts.” Apart from roses, kewra from Orissa, sandalwood from Tamil Nadu, saffron from Kashmir, khus from Uttar Pradesh and spices from Kerala have put India on the global perfumery map. Even before fragrances were popularised in their modern avatars by the Western world, they were an integral part of Indian culture. Herbal samagri was burnt during havans to emit aromas that purified the environment and clarified human minds. All our marriage rituals use flowers like jasmine and rose, which are known for their seductive prowess, as hair accessories or garlands. Harshacharita, written in the seventh century AD, mentions the use of agarwood, also known as oud, and illustrates how the perfume industry in India thrived under the patronage of King Harshvardhan in his capital city Kannauj. This ancient city, referred to as the Grasse of the East, has over 200 surviving perfumeries that still use the age-old methods of attar production. The Mughals encouraged the craft of making perfumes, with Emperor Akbar having a separate department called the khushboo khana. These were extensively used in royal baths or hammams. “Khushboo has the power to influence and refresh the mind. Attar finds a mention in the Quran as it’s natural (devoid of alcohol) and its pleasant aroma helps in making the environment conducive for prayers,” explains Qamar Aalam Ali, partner, Azam Ali Alam Ali Perfumers. She discovered her passion for fragrances after being wedded to Alam Ali, great-grandson of the legendary Istefa Ali, who pioneered the trade and manufacture of attar in India by establishing Asghar Ali Mohammad Ali Perfumes in 1839. Qamar Ali started taking a keen interest in the creation and promotion of natural perfumes and now, after four decades in the business, is a walking encyclopedia of their tales. I am told that the formulae for the attars made by ancient royal perfumers remain closely guarded family secrets. Were there any particular scents favoured by the queens? “Traditionally, attars were unisex as they rest on the scientific premise that the same scent smells differently on a man and on a woman. Rose attar necessarily may not be feminine and a spicy note could be worn by women,” she says, debunking the theory that unisex fragrances are a modern-day invention. “Attar spelt luxury and could be indulged in only by the elite. 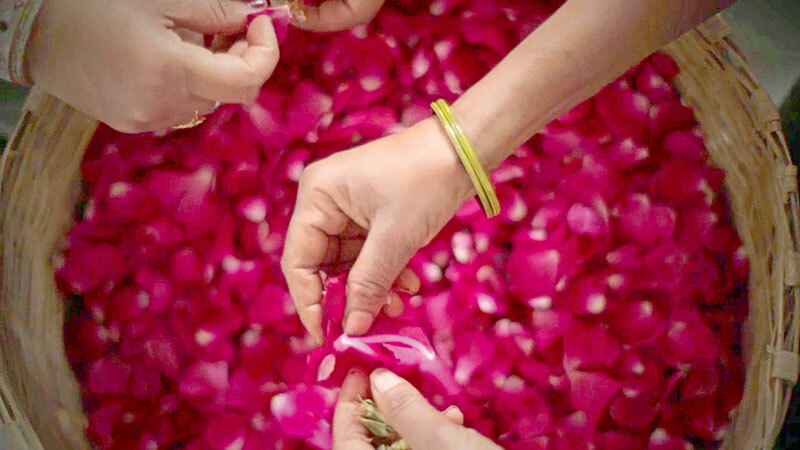 For instance, to extract the popular Rooh-e-Gulab, rose buds are hand-picked pre-dawn and immersed in a large open tank. The collection process of the essential oil from one tonne of rose buds takes over a month and yields just a few milligrams of oil. 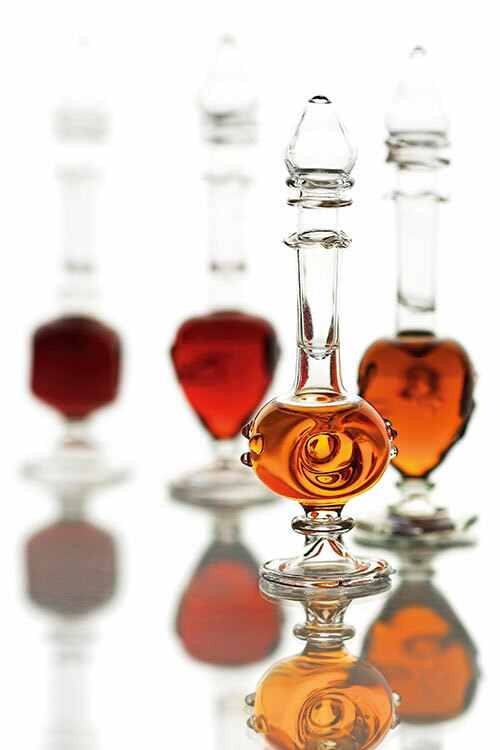 Each drop is said to be worth its weight in gold,” she states, adding how sheikhs from the Middle East and even our nawabs would commission Baccarat Crystal, the French luxury glassmakers, for beautifully faceted bottles to store attar. “It is not instant gratification but love. It takes a while to open the cork, put a drop on your fingertips with deliberation (anything more will be too much), and then decide if you want to apply the attar on your clothes or the pulse points. For either, just a couple of drops are enough.” To illustrate the difference between attar and modern perfumes, she gives the example of dum biryani prepared in an earthen pot versus pressure-cooked. Can the taste and flavour be the same, she asks. Making attar requires patience and skill as, traditionally, herbs are meant to be distilled in large copper pots, which are heated using firewood. The combination of wood and metal lends a unique scent to attar, difficult to replicate with modern machines. That we are still fascinated by these age-old notes is evident when perfumer Rajiv Sheth, CEO and Creative Director, All Good Scents, explains the reason for his home-grown fragrances’ popularity. “Though modern, these have undertones of the traditional scents of India like jasmine, rose, sandalwood, vetiver and more. 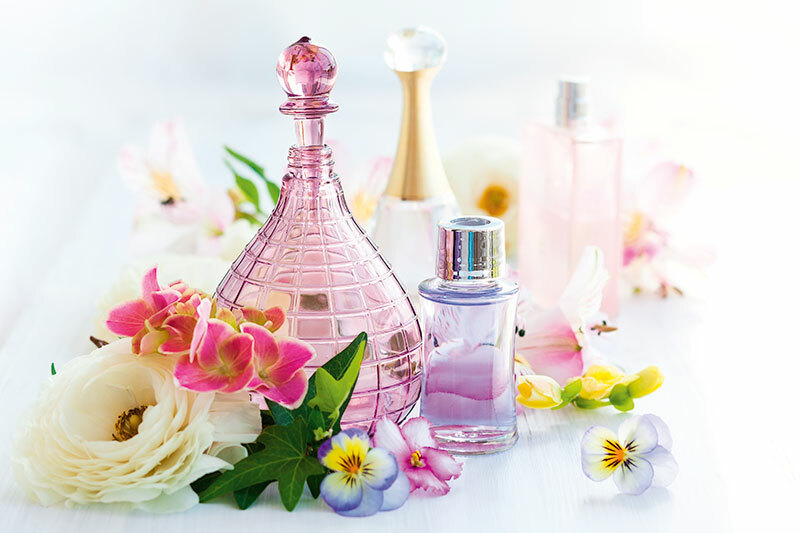 We are familiar with these smells and connect with them instantly.” With his grandfather too in the business of essential oils and attars, perfumery is in his blood. Cite it as nostalgia or his way of preserving tradition, he plans to launch an attar-inspired range, with a contemporary twist next year. With a global desire to go back to the roots, maybe it’s time we bring the focus onto this ancient art of fragrance making. As Kulkarni says, the revival of attars is inevitable. Never take a whiff directly from the bottle. 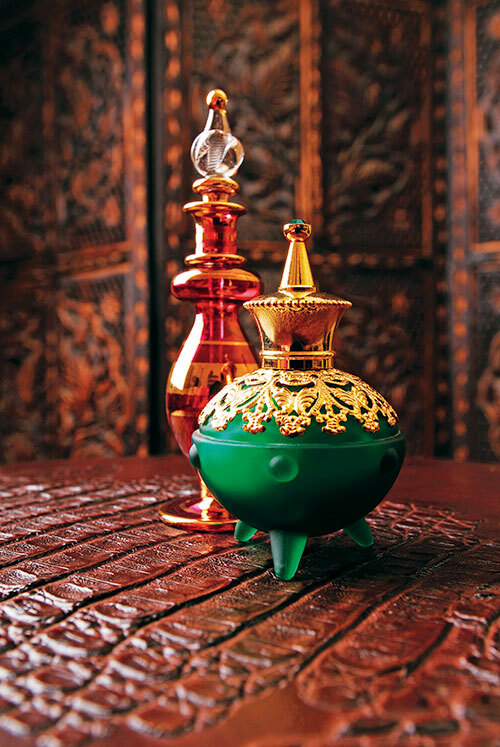 Since attar is heavily concentrated, a drop is more than enough to make your entire body fragrant. The best way to apply attar is to rub a drop on your fingertips and let the fingers lightly trail over your clothes. A change of season requires a change in the selection. Khus, Gulab, Mogra and Kewra attars are used in summer, while Hina, Shemama and Mushk, with saffron, spices, amber and oud, are winter warmers as they increase the body temperature. Put a ball of cotton infused with a few drops of rose attar in your wardrobe for your clothes to have a lingering scent. Traditionally, a couple of drops of rose or khus attar would keep a matka of water fragrant for weeks in the summer months. Give your own spin to this cooling ritual by putting just a tiny drop of attar in your regular glass jug. Rose attar was often used in gourmet cooking to flavour Mughlai delicacies. In modern times, rose water has taken its place in home cooking. For special occasions, notch up the flavour by using rose attar. If you want your house to smell like a rose garden, pour a drop in your regular essential oil diffuser. Add just a drop to a tub of water and bathe like a queen. You don’t need body mist, as the faint aroma will scent your body for a long time.